The romance of the era when steam was king awaits you in Ipswich courtesy of the Queensland Pioneer Steam Railway. Hop on board an immaculate vintage wooden carriage or vintage Dining Cars and discover the rich mining history of the Ipswich area as you go past ruins of old mines and equipment from days gone by. Queensland Pioneer Steam Railway operates three weekend services. The Market Train, from the Racecourse Station, gives you the chance to explore for some Handmade goodies in the markets before catching the 30-minute train trip . The Picnic Train is a one-hour 45-minute trip to Swanbank where there’s a children’s playground, and heritage railway gifts can be bought at Swanbank Station. Also check out the heritage buses dating from the 1940s which operate tours to the near by Historical Centre giving you a longer day out. Bring your own picnic or barbecue and enjoy walking tracks overlooking the lake. The Queensland Pioneer Dinner Trains offer a range of themed dining experiences in the Heritage Award Winning Sunlander dining cars from the iconic Sunlander. 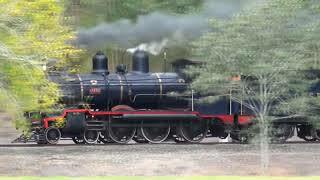 There are Themed Trains such as the Santa Steam Train and Troop Trains that re-enacting the war years in Australia. 30 minute trip around the Historic Box Flat Mining loop finishing back at the Bundamba Racecourse Station in TL Cooney Drive. You can either join the train at Racecourse Station or Swanbank Station and are able to return by a later train should you wish to picnic by the lake and explore the mining heritage of the Swanbank region or maybe have a lunch at the Racehorse Hotel. Ride in the glorious surrounds of the newly restored Sunlander dining carriages of the 1950s as they turn back the clock to 1965 and the days of the "Underbelly" gang feuds. 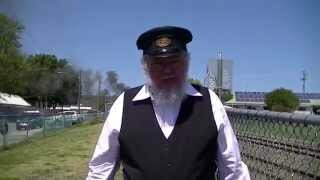 You get to work out who dun it with the assistance of Officer Rhodes as their train passes through the pleasant surrounds of the Swanbank Branch line on its twilight journey. When you join the train, it has been stopped enroute to Brisbane after a murder has been discovered on the tracks ahead. Joining you at this station are four new passengers who boarding the train, each with a different connection to the deceased. Do you think you have the power to work out who the murder is? Then join them for a delicious meal in their refurbished dining cars, watch the murder mystery in action and take a trip on the Queensland Pioneer Steam Railway while you get stuck into the detective work. A unique event for all ages. Dress up in your swingingest 60s costume and join in the fun. Full three course dinner served on board, wine and spirits service. ​Vegetarian and gluten free options available. Mothers Day is just around the corner... so we are running a train just for Mum! Join us on May 13 at either 9am, 11am or 1pm from Bundamba Racecourse Station and treat Mum to an hour and a half steam train ride through the lovely bushland setting of the Blackstone region, up to Swanbank Park. With its large grassed areas, lakeside views and walking tracks, its a great area to sit down and enjoy some good food. Speaking of food, we’ve even got THAT covered! We’re running a mini Food Fair with Shanks-a-lot, This Little Piggie, Kraut N' About and I DREAM ICE CREAM confirmed for attendance AND we are getting some fantastic live entertainment that will be changing across the day! But wait, there’s MORE! We’ve also got the Heritage Bus running from Swanbank to Coonianna Homestead where (for $5) Passengers can enjoy the sights and sounds of early settlement in Ipswich. We are now offering an option to return by bus to Swanbank or Racecourse.